MHA is a charity providing care, accommodation and support services for more than 18,000 older people throughout Britain. 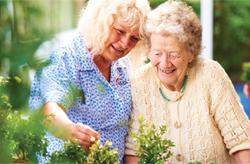 Our mission is to improve the quality of life of older people, inspired by Christian concern. 10,500 older people living independently in their own homes with the support of our Live at Home schemes across the UK. We rely on the commitment and dedication of 7,000 staff and 5,000 volunteers who share our mission and values. Together we are a truly special organisation that aims to provide quality housing, care and support services to meet the needs of more than 18,000 older people across the UK, of all faiths and none. It gives us great pride to be recognised as a leading provider of care and support in later life. Read more about our ground-breaking work and achievements in our Annual Impact Statement. Fundraising and charitable donations are vital to help us continue delivering our life-enhancing work to thousands of older people living across the UK. To find out more, head over to our Best For Ages fundraising website or contact our Fundraising team by calling 01332 221641 or emailing FundraisingEnquiries@mha.org.uk.